Two beautiful stone-houses set amidst a private, lush and mature garden with a lovely pool. One has one double bedroom and the second has two double bedrooms. They both have open plan living and kitchen areas, modern bathrooms with showers, and plenty of storage space. Each property has its own and ample parking area. 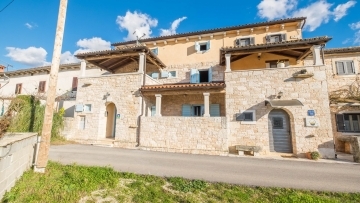 The houses offer an Ideal investment for a holiday let and have a proven track record (over 10 years) The houses are very well located; with easy and quick access to everything Istria has to offer – a private pool and only 15 minutes drive to the sea. 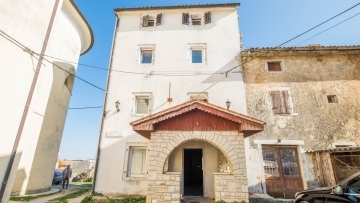 The houses are low maintenance and are incredibly popular as a holiday let. They are consistently fully booked through the summer season and the guests reviews and feedback is fantastic.